I sat down and described, in detail, fifteen of my favorite effects and routines with ordinary cards. Effects that you can do anywhere, any time, with any deck and under almost any conditions. Of the fifteen, only four begin with the standard "pick a card" opening. 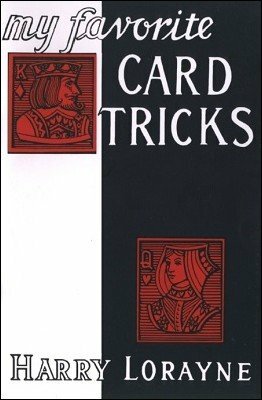 I've used the same format as I used in Close-Up Card Magic and Personal Secrets - that is, I've gone directly into the method and presentation in most cases. And - since I usually write an effect in one sitting, I most often come up with a thought or two after it is written. Therefore - the "Afterthoughts." Don't overlook them; I'm sure you'll find some worthwhile suggestions and ideas there. 1st edition 1965, 68 pages; 1st digital edition 2016, 68 pages.